It’s been called a “wonder drug.” Of course, fish oil is not a drug at all. It’s simply a supplement derived from the tissues of oily fish, like salmon, herring, mackerel, anchovies, and sardines. But the omega-3 fatty acids in fish oil have been associated with a wide range of health benefits. The essential nutrients EPA (eicosapentaenoic acid) and DHA (docosahexaenoic acid), components of omega-3 fatty acids, have been touted for health benefits related to their anti-inflammatory, anti-coagulant and anti-oxidant properties. Let’s get into the details. Omega 3 fatty acids have been associated with positive effects on blood flow and the cardiovascular system and may have protective effects against heart disease. In fact, research has shown that omega-3 fatty acids decrease the risk of arrhythmias. These abnormal heartbeats can lead to sudden death. Omegas 3 fatty acids have also been shown to improve remodeling and repair of the heart after a heart attack. Omega-3 fatty acids may decrease triglyceride levels and slightly lower blood pressure. When incorporated as part of a heart healthy Mediterranean-style diet, omega-3 fatty acids have been shown to reduce the chance of heart attack and stroke. The American Heart Association says increasing omega-3 fatty acids through food consumption is preferred (2 servings per week). But, patients with heart disease may not get enough in their diet, so they should consult a doctor to find out if supplements are right for them. It’s not only the heart that benefits from fish oil and the fatty acids it contains. Omega-3 fatty acids are also an important building block of the brain and nervous system, and are associated with optimal brain function and mood. Neurologists will tell you that the human brain is 60% fat, and omega-3 fatty acids are the fatty acid of choice for certain parts of brain cell membranes and brain intercellular nerve connections. In fact, it is the DHA component of omega-3s that has the most neurological benefits. DHA is a major building block in your brain, and research has shown that omega fats help with memory and may hold promise for delaying cognitive aging. DHA may also stimulate neuron growth and the development and repair of synapses, the area where nerve impulses are transmitted and received. Omega-3s may also improve mood. The Alzheimer’s Association has found that the DHA found in omega-3s may promote focused attention and calmness during stressful situations by supporting optimal dopamine levels in the brain. Dopamine helps regulate emotional responses. And fish oil consumption helps support the levels of serotonin in the body, which is often termed the “feel-good” hormone. The anti-inflammatory effect of omega-3s has made them an attractive option when looking to supplements for arthritic conditions. In a large scale meta-analysis which combined results of 17 high quality studies, supplementation with omega-3 fatty acids was shown to reduce patient-reported pain, morning stiffness, and the use of non-steroidal anti-inflammatories for pain. If you’re not convinced yet about the wonders of fish oil, there’s more. Fish oil may improve bone health. Studies have looked at the implications of fatty acid intakes on the bone density and calcium balance in menopausal women, and have found that those who do take in higher levels of fatty acids may have healthier bones. Omega-3 fats, specifically the DHA in them, were shown in a NASA study to increase bone mineral content and produce healthier, stronger bones in rats. Further study is needed to confirm the results in humans. 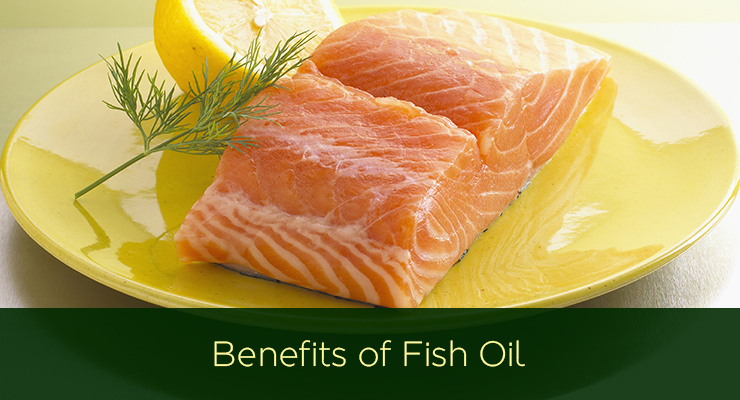 Health and wellness is of primary concern when considering your fish oil intake, but it also has its beauty benefits. Omega fats have been shown to create beautiful hair and skin. Omega-3 fatty acids nourish your hair follicles for stronger, shinier hair. Fatty acids can act as natural moisturizers that revitalize dry skin from the inside out. Fish oil and all of its components are being studied with hopes that they can be used in the treatment of ADHD, cancer, diabetes, weight loss, eye disorders and immune compromise. Fish oil may even play a role in improving fertility. There is an abundance of information regarding the health benefits of omega-3 fatty acids but supplementation may not be right for everyone. The decision to supplement must be made between a patient and a health care professional, taking into consideration medical history, medication usage and health status. Dr. Adrienne Youdim, MD, is a well-recognized expert in the areas of weight loss and nutrition, bariatric medicine, and preventive medicine. 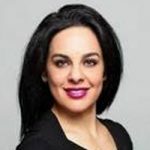 Dr. Youdim is the Director of the Center for Weight Loss and Nutrition at the preeminent Lasky Clinic in Beverly Hills.